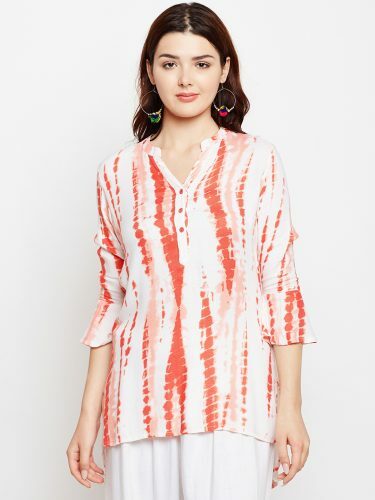 "18 AMAZING Summer Tops Under 300 Rupees! " This story was updated in February 2019. Yes, you heard us right! 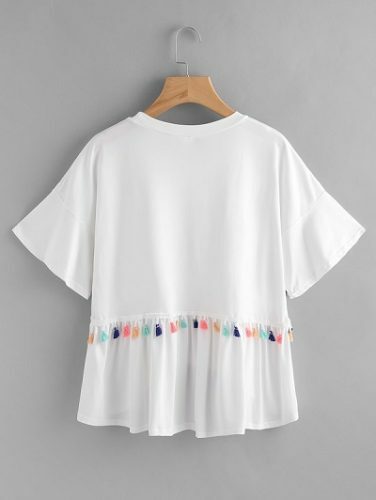 We’ve found 18 AMAZING summer tops under 300 rupees. Now, you can go as overboard with shopping as you like and revamp your wardrobe - WITHOUT a huge bill to show for it. Didn’t think it was possible, did you? Summer tops come with a variety of designs that you can never have enough of them. Here is our list which gives you the chance to buy more while spending less. Are you more inclined towards shirts than tops? If yes, then this printed blue-green shirt is the right pick for you. This shirt is comfortable plus cool. Price: Rs. 299. Buy it here. Black color matches any look or any mood. 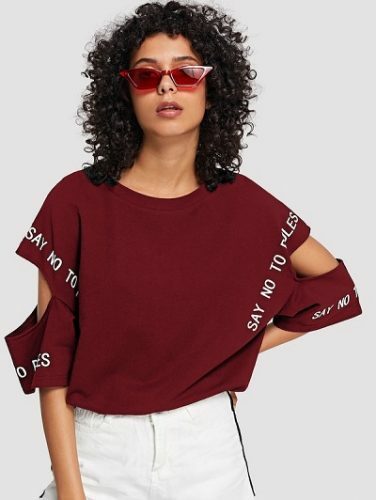 Whatever is the ongoing trend, simple tees are never going to be out of fashion. You can flaunt your workout through this slim fit top which will take shape of your body. Price: Rs. 210. Buy it here. This white crop top filled with stripes gives ultimate goals of fashion. At such low prices it is such a steal. Wearing this will give you an absolute chic look. Price: Rs. 255. Buy it here. 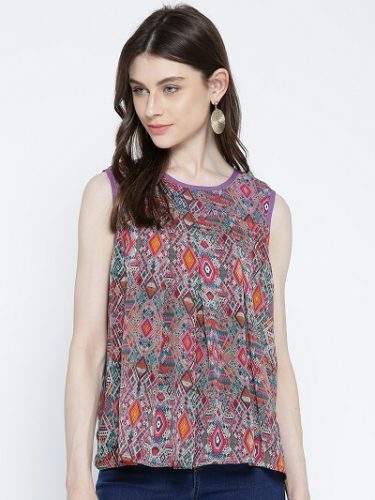 This loose top with scattered flower print gives a girlish look. 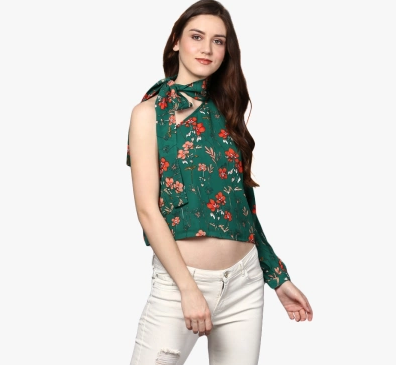 If you always look for tops which are comfortable to wear then this one is definitely the end of your pursuit. Price: Rs. 210. Buy it here. 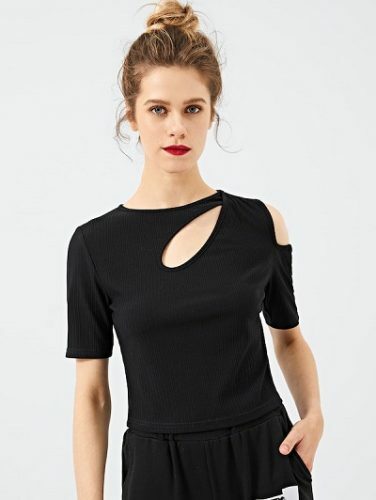 This black crop top looks glamorous with its front knot. The careless quote makes a point too! 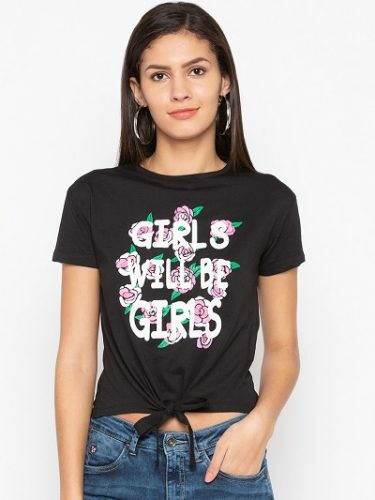 This top is an ideal match for the girls who live by their own rules. 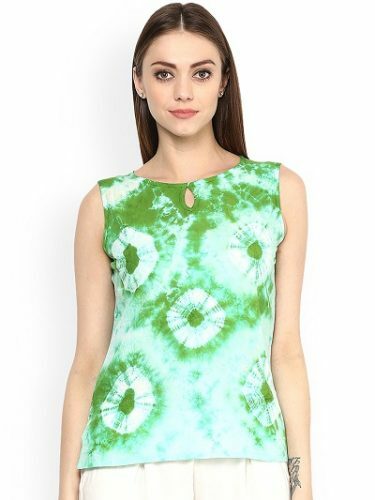 This green colored tie-dyed print looks so pleasing to the eyes! 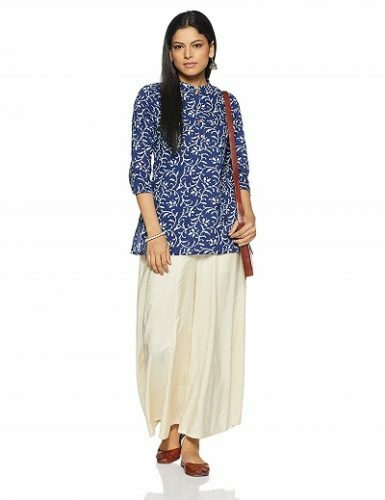 Wear it to your college on any day while pairing it with jeans and a pair of lovely earrings. 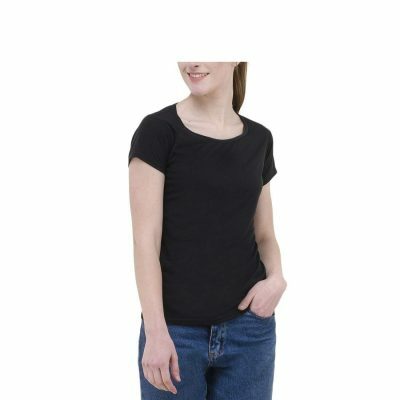 Ace your fashion wardrobe by adding this stylish black top into it. We all know that we will never have enough black tops as this color will never fail to be trendy.